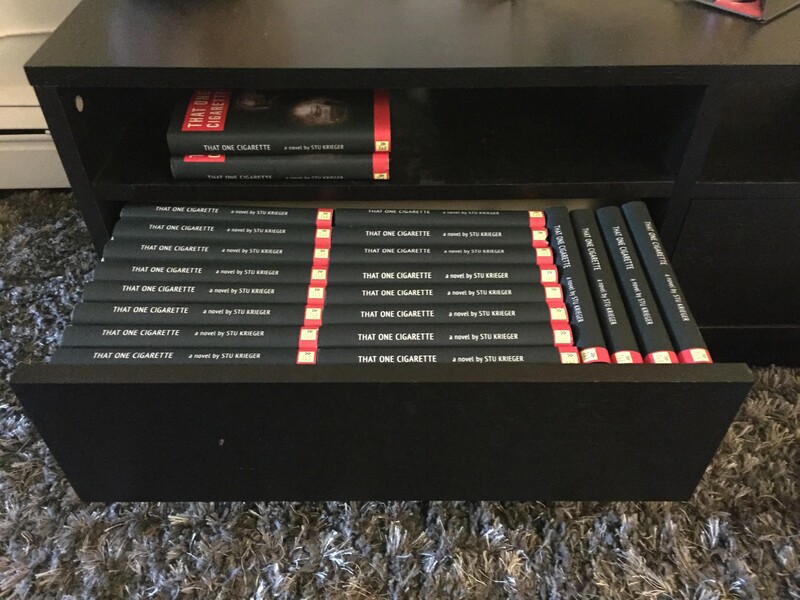 Why would someone buy 50 copies of your book? What reason could one person have to buy so many copies of your book? There could be any number of reasons why this is the case — and the possibilities are only limited by your own strategery and imagination. The reader sees buying 50 copies as a condition to get something of greater value. The reader wants to support your book launch in a big way. The reader has their own large audience who would find your book immensely valuable. The first two are the most common, while the third is the most sought after but most difficult to find and close. Selling 50 copies of your book is also one of the most common strategies in crowdfunding and pre-order campaigns for traditional US and international book sales. It’s a real thing, and if you haven’t heard of it you could be missing out a huge opportunity to get a lot more of your books in way more hands, and quickly. When Neil Patel, Patrick Vlaskovitz, and Jonas Koffler wrote Hustle (Rodale), they started with large corporate sponsors in order to move a lot of books quickly and to get them in front of major influencers for promotions later on, all before the book officially hit the shelves. They treated their book as their startup. They moved 50, 100, even 1,000s of books at a time, as pre-orders, all from one person or organization, at discount. This is a smart move. Not only that, but if you’re one of Neil Patel’s millions of email subscribers, you received an email prompting you to pre-order 10 books at a time in return for a free 30 minute SEO coaching session from Neil Patel himself. Do you have 5 people on your marketing team or in your company? Imagine each one getting a free 30 minutes with Neil Patel. All it takes is 50 copies of his book. The insight Neil shares in just 30 minutes of personal 1-to-1s with your top marketing executives or team members will bring results to your business that far exceed the cost of buying 50 copies of his book at a discount. Plus, they’ll all have his book as reference and appreciate the good read you provided them. And then you can give the rest away to your friends or colleagues as a gift. And that’s just what Neil, 1 of 3 co-authors on his book, provided potential readers. Patrick Vlaskovitz promoted heavily on his social media platforms and gave shoutouts to anyone who posted about his book or shared receipt of a pre-order. Jonas Koffler, besides his suave writing skills and structure he brought to a popular topic, was his promotion to his inner circle and business contacts, same as Neil Patel did, to get the book even further. Here is another high-authority author who used email to land some large sponsors for his book. The first thing to realize, as an author, or just as a person, is that you have a network of people. Friends, family, colleagues, past clients, friends of friends, acquaintances, ex-bosses, that friend your sister’s boyfriend introduced you to at a party last year, or whoever else you’ve accumulated in your diary (or your Gmail contacts) of people you’ve ever met. — Stu Krieger, screenwriter of the animated classic The Land Before Time for Steven Spielberg, and first time author who pre-sold 308 copies of his book, That One Cigarette, in less than 10 days. Stu, for example, had a close circle of people who we’re glad to jump at the opportunity to buy his first book. His credibility with The Land Before Time and Disney certainly helped, and he offered screenwriting help and offered to read submitted screenplay for everyone who bought at least fifteen copies of his book. Which gained him a nice jump in pre-sales quickly and was a way to provide value to readers based on his skills. But book sales are much more than that — and Stu understood that. A book is a piece of art. And it takes time and effort and creativity to produce a quality piece that people will enjoy. Stu’s network of friends, family and extended network didn’t just make a transaction to buy his book. They made contributions to a piece of his life’s work and supported a goal he had: to get that piece of work in as many hands as possible. All Stu had to do was ask. Like this. And then of course, ask again, and again. And sometimes a fourth time. Another lesson Stu learned about selling your book, that it takes a lot of follow up and reminding to get that buy to go through. So is the trials and tribulations of book sales. In the end, Stu produced a high quality book with a Hollywood publisher and when it finally hit his readers hands, and they opened it up, it was an experience that they were more than happy to take part in. I was, for sure. Besides the obvious pitch to clients and pre-existing contacts for bulk order by professional coaches and business professionals, take the above story and apply to your personal brand. Because you have one as an author whether you know it or not. The only likely difference from fiction authors is that you are proactively building your network and platform as an expert and influencer in your chosen field. And much like a fiction author, you have an inner circle of potential readers who want what you have to offer, in the form of a book. You just have to get it in front of them, most likely through personal email or your friends on Facebook messenger (two very effective ways to sell books). Derek Loudermilk offered a confidence online summit and personal coaching for 10 copies. Scott Bales offered a corporate strategic package for 20 copies. Ajit Nawalkha offered an online course and personal coaching for 85 copies. Casey Fenton offered mentorship and to surf on his couch for 100 copies. In the end, it’s about having as many conversations as possible about your book. Want to apply to a book accelerator batch? Learn more here. Cofounder at Publishizer. Not a fan of pseudonyms. Submit your book idea to me at lee at publishizer.com.